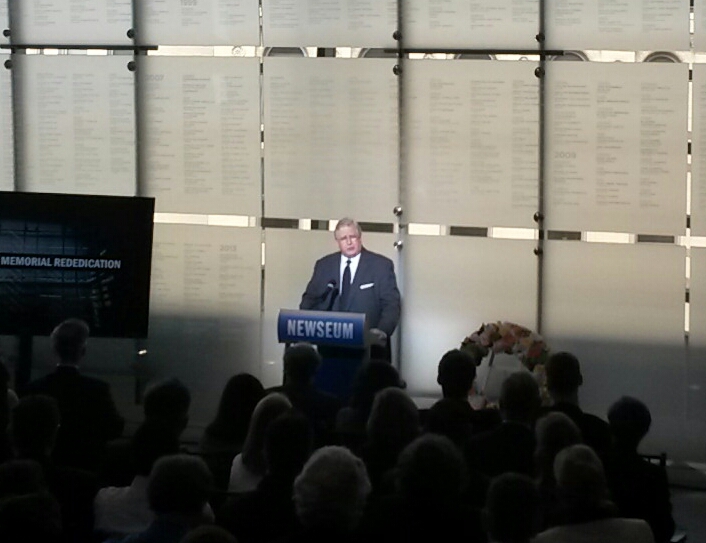 Monday at the Newseum, its staff and media came together to rededicate its Journalists Memorial in honor of ten journalists who died or were killed in the pursuit of news during 2013. 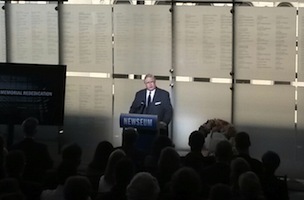 With this year’s addition of 10 names from 2013, the memorial holds the names of 2,256 reporters, photographers, broadcasters and news executives from around the world, dating back to 1837. 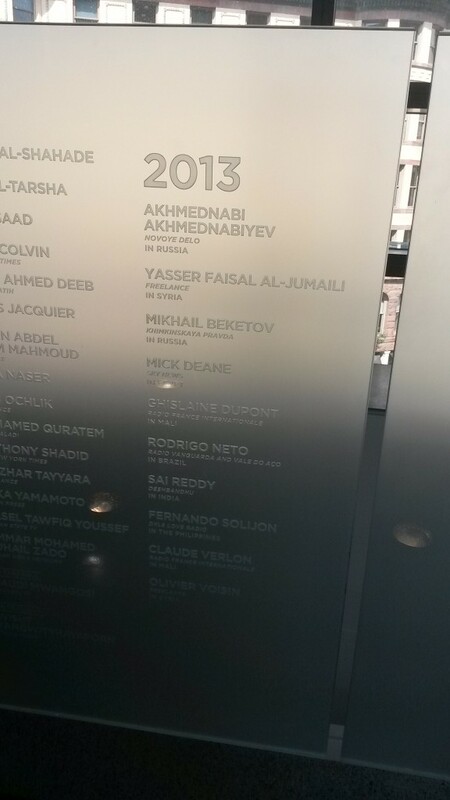 Its gallery features hundreds of photographs of the listed journalists as well as informational kiosks.